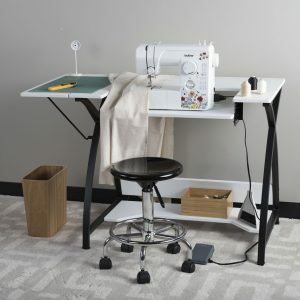 Are you using a standard table with your sewing machine? 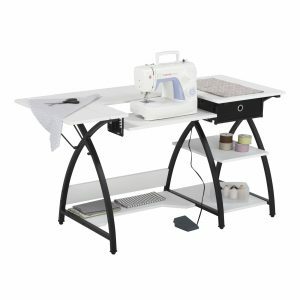 The Comet Hobby Center by Studio Designs is an affordable and stylish upgrade for your sewing projects. 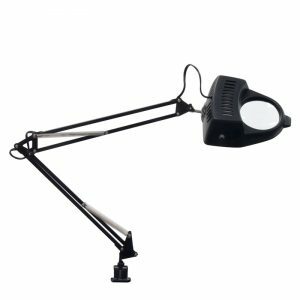 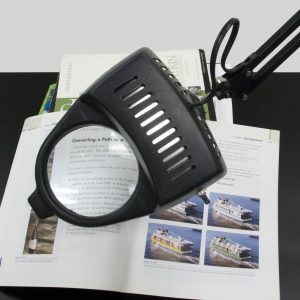 The drop-down platform allows you to align your sewing machine base height to the tabletop height, allowing the fabric to glide smoothly across the top. 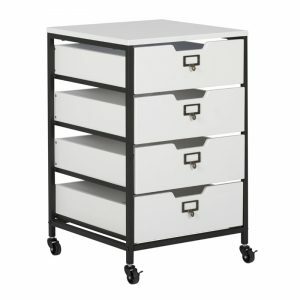 The bottom shelf can hold bins and boxes of supplies. 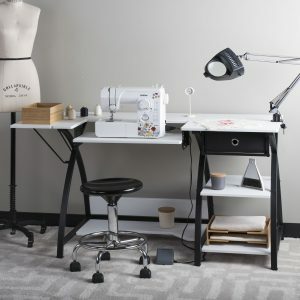 The drop leaf adds tabletop space for your fabric while sewing or it can be put away for added space in your hobby room. 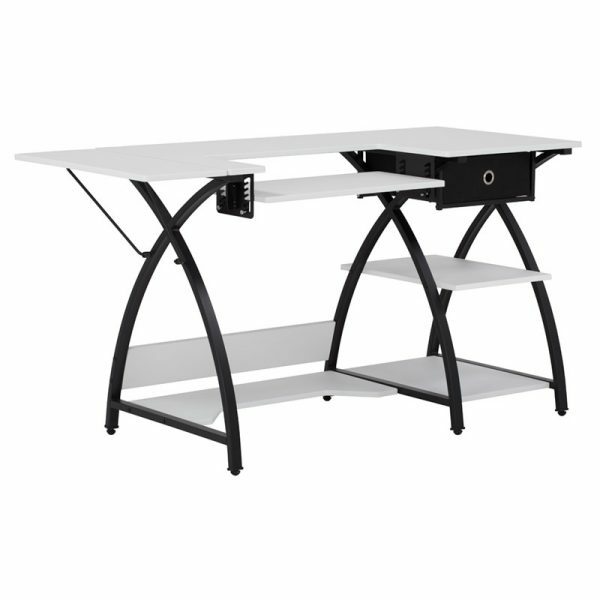 The stylish design and features also make it a great computer desk. 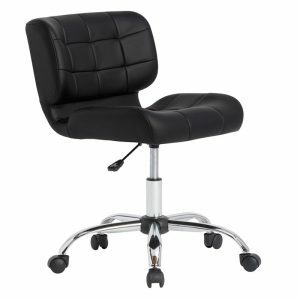 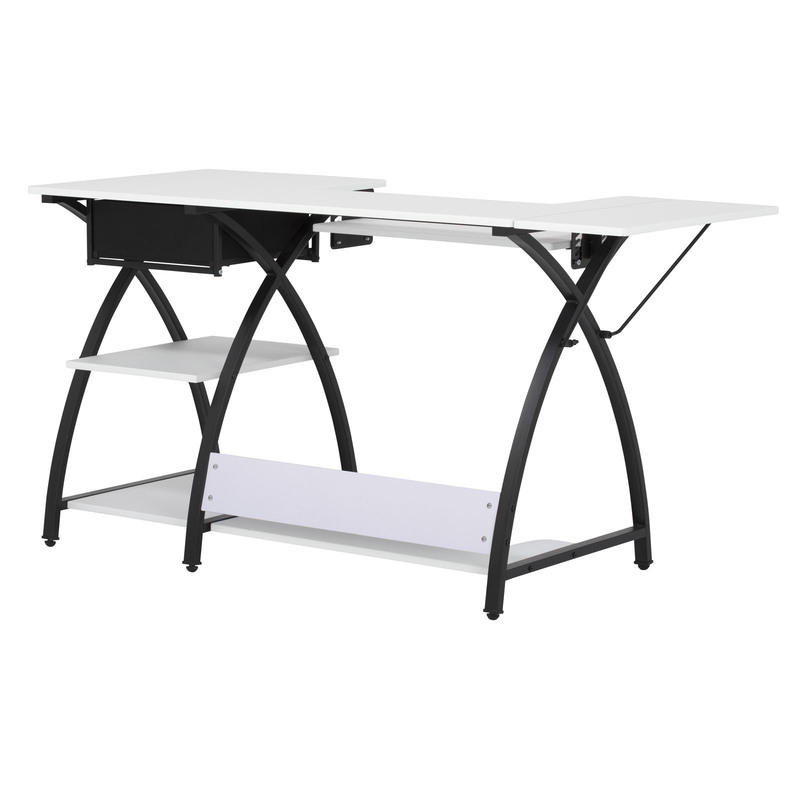 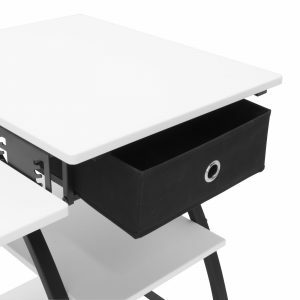 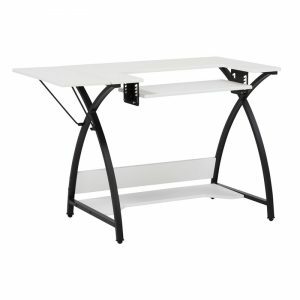 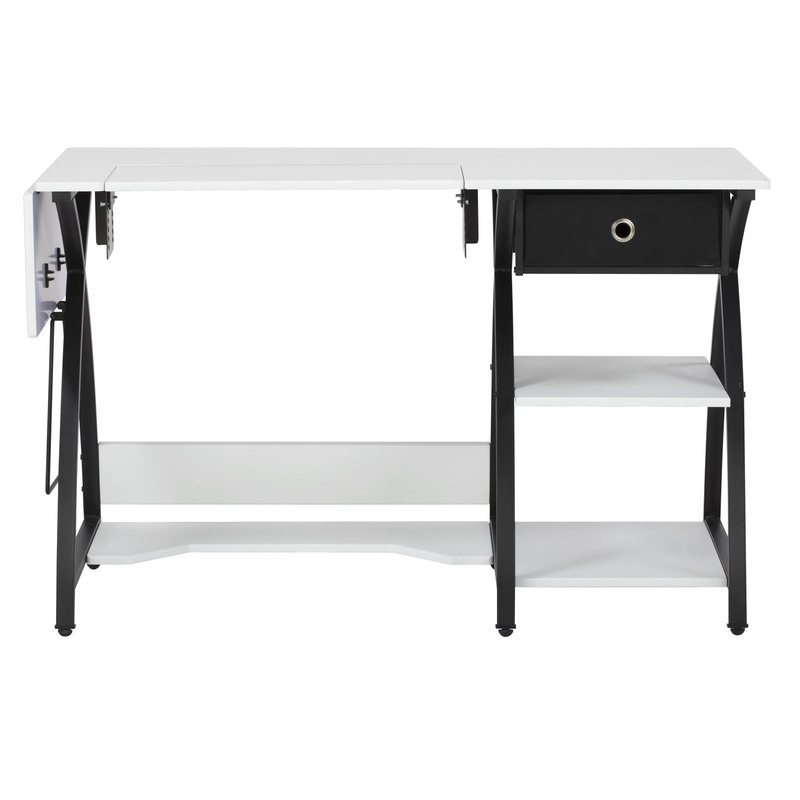 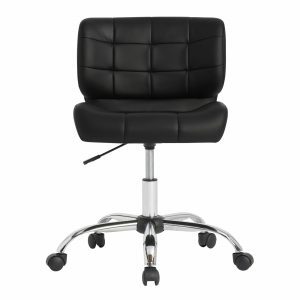 The Comet Sewing Table is versatile enough to use in the craft room or home office.